Wednesday March 29, 2017, 6:00–7:30pm at North City Water District, 1519 NE 177th Street in Shoreline. 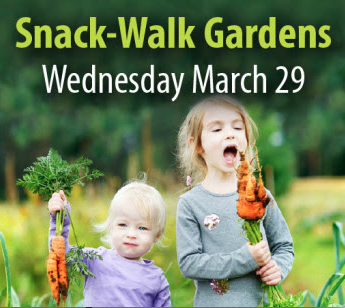 Learn which vegetables, fruits, herbs, and other plants are easy to grow in the family garden, inspire the imagination, are safe for children and pets, and fun to touch, smell, and taste on frequent “snack walks”! This class is designed for our young Savvy Gardeners and their parents: hands-on and kid-friendly! Light snacks including fresh fruit, crackers and coffee/teas will be available. Registration required… see contact info at the bottom of this article. The class is free, but you must register to attend. Simply send an email or call 206-362-8100.